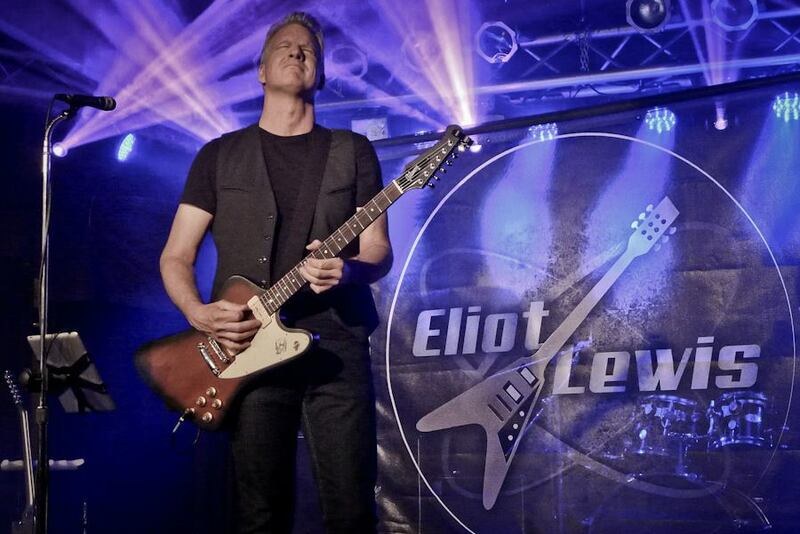 Eliot Lewis Talks Hall & Oates and new Album, "Adventure"
Follow that up with a weekly ritual of being backstage for The Who, Elton John, and a host of others, the natural progression would be at the age of fourteen to jam with Peter Frampton at your friend’s house, right? Well, apparently that was just another day in the early life of Eliot Lewis, and ever since his musical career has just kept building on those experiences. These days Eliot Lewis can be found playing keyboards with the Hall & Oates band, as well as interacting with legendary musicians and hot new artists of every genre on the Live From Daryl’s House broadcast. Artists ranging from John Oates, Smokey Robinson, The O’Jays, Cheap Trick, Aaron Neville, Billy Gibbons, Grace Potter, Todd Rundgren, Amos Lee, Elle King, Joe Walsh, Keb’ Mo’ and dozens of others have made the trek originally to Daryl’s home and now to his successful club in Pawling NY. There they get to hang out with Daryl and the band, talk a little, eat a little, and make some fine, fine music. And Eliot Lewis has been there for each one of the 82 episodes. Oh, to be a fly on the wall. After spending some time as a songwriter with a couple of publishing deals, Eliot spent thirteen years as a key member of the Average White Band. 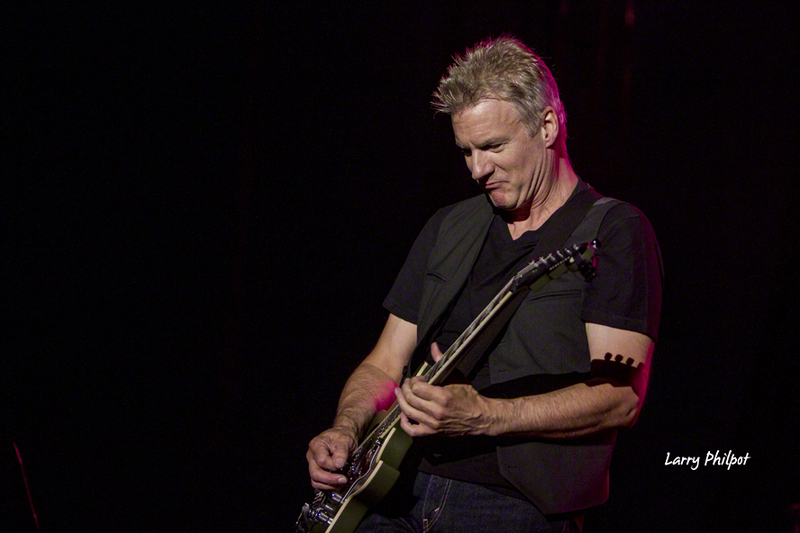 A little while after leaving AWB, Eliot Lewis began working on Daryl Hall’s solo tour and soon after joined the Hall & Oates band. A multi-instrumentalist, Eliot Lewis has released several solo albums including his latest, Adventure. As he prepares for the Adventure release party this Sunday January 1st, Eliot took the time to speak with Onstage in depth about what has been a most interesting musical career. Kath Galasso: First of all I’d like to ask you about a few of specific gigs you’ve been part of. The new inductees for the Rock and Roll Hall of Fame have been announced and it seems every year there is controversy over the picks and the omissions. When John and Daryl were inducted in 2014, I don’t recall many complaints over their being chosen because really, how can you argue with their body of work. You played with the band at the ceremony. What do you remember about that night? Eliot Lewis: There were some interesting things that happened. There were some people there, you know Bonnie Raitt, Sting, and KISS, bands that I grew up with were all in the audience and in the VIP seats looking at us. So that was a pretty surreal moment. They (Hall & Oates) had been eligible for 15 years or something like that, but It’s all politics. I think what happened, which is what happens with a lot of artists these days, is fans started petitioning them. We did a performance on the Rachael Ray show when their boxed set first came out. She is such a Hall & Oates fan that she made a very big public deal about lobbying people to get them into the Rock and Roll Hall of Fame. So I think that caused a little bit of movement within their fan base to put some pressure on them. So eventually and obviously it happened. It was an amazing experience, they were very honored to do it. Daryl had some interesting thoughts that he wanted to try and convey. Knowing all the politics that surround that event, he was a bit disturbed that there were no real artists from Philadelphia, where they’re from, that were already inducted. All in all it was a very pleasurable experience as a musician myself, kind of going along for the ride. It was incredible to be in the presence of the sort of history that it represents. I tried to remove myself from the politics of it and just really enjoy the moment. It turned into more about the fans recognizing their contribution to the music business than the Rock and Roll Hall of Fame itself. March 2015, the Hall & Oates band played at The White House. It’s not a gig most musicians think about playing or actually get to play. What was that experience like? Again, that was one of the biggest honors I’ve ever had. When the word came from them that we were going to do a performance there, I think we basically all assumed ok, we’re not going to actually meet the President and the First Lady. We were obviously going to play and that would have been enough, I would have been very satisfied. You have to go through a lot of security screening before you actually go there and play. We all assumed that Daryl and John would meet them and we would just do a performance. But the night before, I guess it was President Obama who insisted that he wanted to meet everybody in the band, even our crew. So when the time came that we did a performance, they lined us up in this room and got all of our information. Then you walk into a room, one by one, and here is the President walking across the room with his hand out to shake your hand. And he says “Eliot, nice to meet you. Thank you so much for coming to The White House,” which is a very mind-blowing, very surreal experience. It wouldn’t have mattered who the president was, the honor was still the same. They met everybody in our entourage and we did our performance. And from what I understand you do a thirty minute performance and it’s very choreographed where after thirty minutes President Obama would come up, take the microphone, thank everybody and that would be it. We finished our thirty minute set and instead of him coming up, they stood up and clapped and he sort of gestures like “C’mon one more.” They were really into it. I think we did two encores, and afterwards we were told by somebody in the Secret Service that they had never witnessed that before. And playing Madison Square Garden just this past year with the Hall & Oates band? The Garden was the highlight of my musical career and this is why. When I started playing music, I was ten years old. I started drumming when I was ten and my best friend who started playing bass was a year older than me in elementary school. His father was in the music business, he was a promotions man. He took my friend and I, his name is Kevin, to Madison Square Garden. His father had access to seeing all the big, big artists of the day. Every week Kevin and I would take a train and meet his father. We would go to Madison Square Garden and see a show. I think the first show I saw there, when I was eleven, was Alice Cooper. And of course we went backstage and I met him. The week after would be The Who, then the week after would be Elton John, and on and on. So the Garden became the pinnacle of success to me as a musician. I was mesmerized by it and it was just a dream of mine that someday I want to stand on that stage and perform. That’s something that’s been going through my mind my whole life and sort of a driving force. So it was very, very special. I made sure all of my family were with me and of course, Kevin and his father, who were really responsible for bringing me there. I made sure they were going to experience it like I did. Kevin’s father also set up a jam session with your band and Peter Frampton. That had to be when Peter was close to the top of his career. You were what, barely a teenager? What was that like? I was either thirteen or fourteen and it was actually just before he exploded. Just before Frampton Comes Alive hit. He had either done one or two solo records and obviously he was in Humble Pie. He came up to Kevin’s house just really to hang out. Of course Kevin and I had our little room set up where we would jam in every day after school religiously for three hours. We just pulled him into the studio, I think, and we jammed for an hour or so. It was a big deal then even though he wasn’t as famous as he became. Then we ended up seeing him in concert many times after that. As a kid I was exposed to some amazing stuff that without a doubt helped create my drive and my love for wanting to do this. 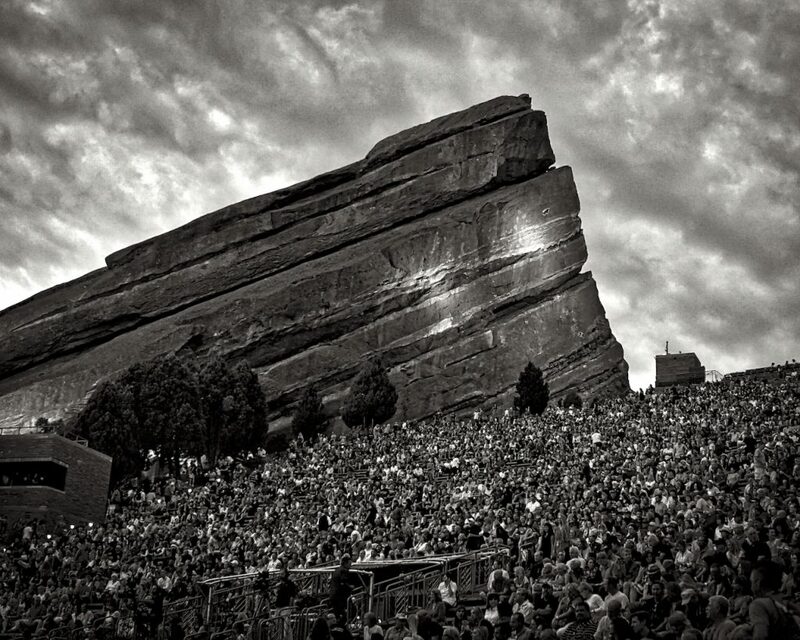 This past year, Hall & Oates were booked in arena sized venues for a bunch of shows. There hasn’t been a new album from John and Daryl in quite a while yet they are still a major draw on the tour circuit. What do you think is the reason for their continued relevance? I attribute it to a few things. They seem to be getting more and more absorbed into the mainstream consciousness. Their music has gotten into more movies and there’s just been a sort of a natural resurgence of their music. I think people that thought Hall & Oates weren’t cool but loved their music are now going ‘it is cool to love Hall & Oates.’ And they’re embraced by such a wide variety of people, not only people that just love their songs, but musicians too. We get people from all walks of the music business, even heavy metal, that love Hall & Oates. Then I think another major factor is Daryl’s show, Live From Daryl’s House (LFDH). That’s really made them continue to be relevant in today’s music scene. We’ve had on everybody that you can imagine, from legendary artists to all of the new upcoming artists. It’s been incredible to see. You’ve released several albums on your own and they are truly solo efforts. 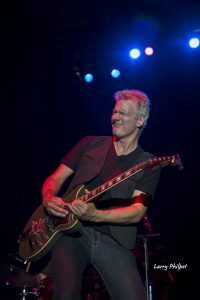 You play all the instruments and do all the vocals, yet you still manage to balance your band duties with Hall & Oates and your solo career. I play four instruments, I started on drums, I went to guitar and bass, and lastly I went to keyboards. I wanted to learn other instruments really to become a songwriter. So that I could understand that instrument and apply it to a song. I was able to get a publishing deal in the ‘80s and ‘90s with Sony and Warner Brothers. My focus for a long time was just to be songwriter and artist myself. I sort of, by default, became a member of the Average White Band and that led into Hall & Oates, I never set out to be a band member. My goal all along was to be an artist, songwriter and producer. Those other things happened along the way and of course they’re so good, you can’t say no to them. I’ve had to balance out being an artist and also being a member of a band. I think that in the past six or seven years, I’ve been able to do that more successfully than ever. The exposure that I have gotten on LFDH has afforded me a little bit of a base to start with. I put out records pretty much every year. I’ll often tour alongside them. If Hall & Oates are touring and there’s a day off, I’ll actually schedule a show and do a show myself. 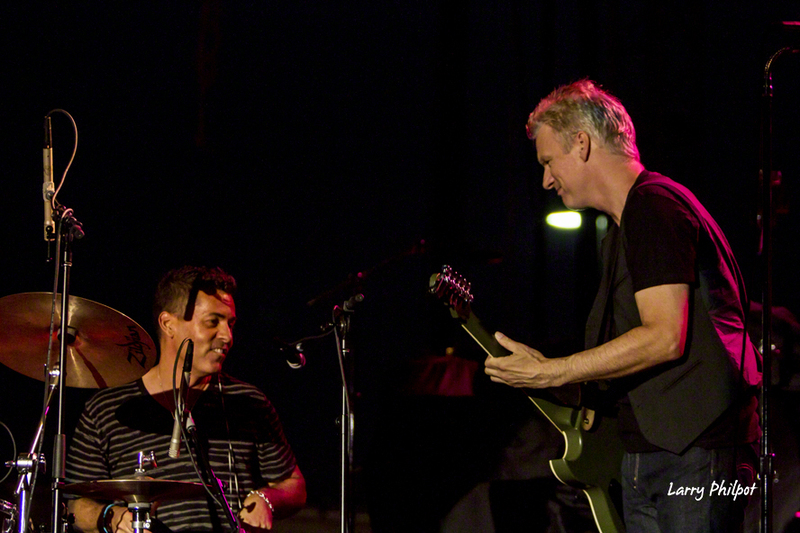 Sometimes I’ll do it solo and sometimes I’ll use some of the band members from Hall & Oates. Then when we’re not touring I set up my own tours. I go out to the Midwest a lot and do proper little tours, small clubs to very small theaters. I have an amazing balance now that I never thought I would have; I get to do the TV show with Daryl, I have Hall & Oates and then I have my own career. Tell me a little about Adventure, your just released album. Technically, I think it’s about my seventh release. Although I sort of look at it almost as a starting point. The big difference with this record is I finally have a record label. I was able to meet a gentleman who runs a fantastic label called SRG Records and they just happen to be distributed by Universal. We took a few songs from recent EPs that I’ve released, then I wrote a bunch of new songs. So I feel that this is kind of a starting point now because certainly having a label with distribution, a lot more people will get a chance to hear it. I’m very excited about it, it just came out, and I’ll be doing my CD release show at Daryl’s House Club. The title song has a great lyric video, how did it come about? “Soundtrack” I think will touch a lot of people who grew up documenting their lives by songs, myself included. Do you think it’s still true today as it was back then? You know what Kath, I hope so. I hope so. 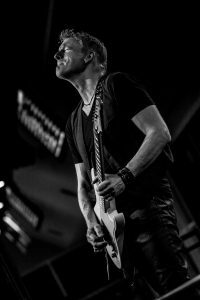 For twenty year-olds now, growing up and getting into music…when they’re in their forties or fifties, will they look back and remember a song and have a connection with it? I’m not sure. I think so. I think that will still happen to some degree, but you’re right, for us…for me anyway, music was so important and songs really had a huge effect. So this concept that happened to me, this idea that I wouldn’t hear a song for a long time and it would come on the radio or somebody would play it, and it would really just trigger this flood of memories. I just thought that was a really powerful concept and wanted to write a song about it. I still hope there’s enough songs that resonate with people that will trigger those kinds of hopefully positive memories. Your songs have great hooks; tell me a little about your writing process. It’s pretty much the same as it’s been for a long time. When I was young and just starting to write, there was a lot of experimenting going on. But now I find I write more things on the guitar. Earlier on in my career I was writing a little bit more on keyboards. But I find I write almost without an instrument now. What seems to work for me is coming up with a melody and a lyric idea or concept and creating a song around that. I can write in the car or anywhere. Sometimes I get my most inspiration doing a show. After a show you would think you would just want to rest after performing for two hours but my brain is in that creative mode and I’ll just start coming up with ideas. Of course nowadays it’s common to have your iPhone and your Voice Recorder with you so you can document a melody. But to me, if I can come up with a hook and an idea or concept for a song, and remember it for a little while, it’s probably hooky enough to move forward with. There are some songs that come really quick and some songs that you need time to develop that concept further. The album’s release party will be held at LFDH, Daryl’s club in Pawling NY, on January 1st. How excited are you? I’m very excited. I have a new CD, I’ll see a lot of people I haven’t seen in a while, and I love playing there. When the club opened up, they ended up giving me a ton of dates. So I’ve played there probably more than anybody else. But the club got so popular so quickly, I haven’t actually played there in a year now. So I’m really excited about just getting back. I love playing there, it’s a great experience to see an artist there and it’s also great as an artist to play there. Speaking of Live From Daryl’s House…. Aside from Daryl, you are the only band member who has appeared in every episode. As the show has become more successful, it’s gotten a lot more polished. Does it still have the same magic? It does. I would say it has the same magic, and the magic is all about not the location or the popularity. It’s really all about the connection with the artist that comes on. I would say all the episodes had some magic, but there has been more magic in some episodes than others for sure. For me, they’re all good, we have a blast. There are some personal favorites for me of course, but I think there’s still plenty of magic there. We all bond as musicians and again, it’s really about the artist that comes in. And they’re all so different and they all contribute to what we’re doing. I never in a million years would have thought that I would work with so many different artists because of that show. I remember on the show that featured Smokey Robinson, being the prolific songwriter that he is, he and Daryl talked of interpretations of their songs. I’m paraphrasing, but they basically said that once the song is written they let it go and it is up to the other artists to make it their own. As a songwriter who has had publishing deals, do you share that sentiment? I’ve heard Daryl say that many times. He seems to really love the fact that if he writes a song, he puts it out into the world, and he’s fine with anybody doing their own interpretation of it. I’m sure he likes some more than others but he’s basically ‘ok this is my song, I wrote this, here’s how it was originally done,’ but then he wants to share it with the world. I kind of think that’s a cool idea. There’s always many different ways of interpreting a song and some can be better than the original. The original is what starts it. What comes to mind is the Kennedy Awards where Heart did an interpretation of “Stairway To Heaven.” That’s probably one of the most powerful, most emotional musical moments I’ve ever felt. And not that it was better than the original, but it certainly had an incredible impact on everybody that was witnessing that. Basically what I do in my own solo show because I’ve been such a part of Live From Daryl’s House, I select a bunch of songs that I’ve done with those artists. For instance, Billy Gibbons, Cheap Trick, Joe Walsh, some more rock stuff I really, really love. So I take songs that I’ve played with them and reinterpret them in my own show. I think it’s fun to change them around a little bit. On LFDH and on tour with the band, you mostly play keyboards, but on the episode with Billy Gibbons, you were doing some insanely good guitar solos opposite one of your musical heroes. Tell me about that day. That was a bit surreal in a few ways. First of all when I joined Hall & Oates, Daryl invited me to do a solo tour and T-Bone (Tom Wolk) was still alive then, and they knew that I played several instruments. But when they officially asked me to join the band, the position that was open was the keyboard position. It just happened that way. So when Billy Gibbons came on the show, he actually brought a couple of the musicians that he was working with in his solo career and two of them happened to be keyboard players. So they weren’t really going to need me to play keyboards. He found out that I play guitar and was like ‘hey man, the more the better, so play guitar.’ When we got to doing the songs, he would point to Shane (Theriot) the lead guitar player, and say ‘you want to take a solo on this song?’ Then he would look at Daryl and he would just go ‘no, I’ll just rock the rhythm.’ Then he’d look at me and say ‘you want to take a solo?’ and I’m like “SURE.” I’m very influenced by Billy Gibbons, no disguising it, so I think he might have been a little intrigued that I kind of played a similar style, only because I’ve been listening to him for so long. He’s a master blues guitar player. 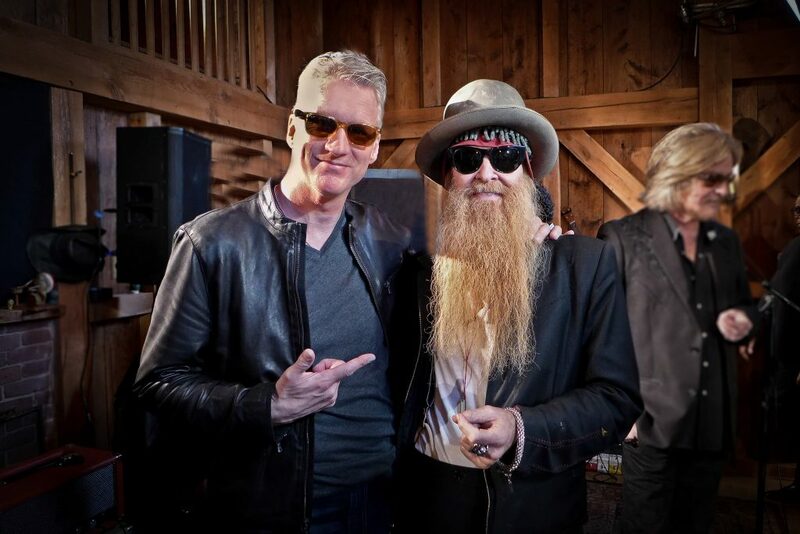 So it was very, very special to me to play guitar alongside Billy Gibbons. How far in advance does the prep begin for the show: choosing a guest, choosing and rehearing the songs before the artist arrives, etc. Some of that stuff I’m not too privy to. The actual scheduling, finding the artist… we all make our suggestions for artists we would love to be on the show. But I think their biggest challenge is not finding the artist, but scheduling them. For instance now, we shoot all the episodes at the Live From Daryl’s House venue in Pawling (NY) and they’re only closed two days a week. That really limits who is around and available on those two days of the week. Occasionally we’ll do a location shoot, we went to Charleston to do Darius Rucker, Hawaii with Todd Rundgren, we did Sammy Hagar in Cabo. So I think that’s their biggest dilemma. Once we have the artist locked in, we’ll come up with a song list. That’s usually made up between Daryl and the artist and our musical director Shane. Of course some of us will have suggestions sometimes. Once we get the song list established, we usually work on the music on our own for a couple of days. Sometimes we’ll have the luxury of having the music and knowing what we are going to do a week in advance. Sometimes it’s just a couple of days, sometimes it’s the day before. So you have to be on your toes. We get together the day of the shoot and the band will run over a song once or twice at most. Then the artist will come an hour or two later and we’ll run through it once, and sometimes that will be the take. Unless somebody messes up really bad, that will be it. Daryl really likes that. His vision I think was that these are musicians finding their way through this music. Sometimes you get the magic happening when you don’t know the music that well. When you know it so well, you’re not really finding your way through it. He likes it to be loose, there are definitely some mistakes, some flaws, but we’re not going for a perfect performance. Six years ago LFDH lost its original music coordinator and heart & soul of the show when T-Bone Wolk passed away suddenly. This year, Hall & Oates toured with Sharon Jones and the Dap Kings where Sharon worked almost to the day she died. Two very special people. What lessons were learned from each of them? I think the thing that you just have to do in life in general, especially being around situations like that is to make the most of everyday in any way you can. Get the most out of life because we’re blessed to have the life we do, and as musicians you want to be fulfilled and playing, performing and writing, and doing as much as you can. Both Sharon and T-Bone were doing exactly that. They were playing right up until the very end. It was heartbreaking to be around Sharon because we knew she was sick on the road and you could tell when she was having a bad day, or a better day. But even when she had a bad day, as soon as she walked onstage, it completely disappeared and she was completely submerged in connecting with people and singing her heart out. You would never know that she was sick unless she would talk about it. Music took her away from that situation. It’s really sad to have her pass but she certainly did as much as she could. With T-Bone it was a little bit more of a surprise. We were all caught off guard and he was such a huge, massive talent. He was a direct inspiration for me. He was really more responsible for getting me in the band and believing in me, because up until that point I had never played keyboards to that level, to the level of the musicians that came before me. He could get on any instrument and just play it like he had been playing it all his life. Of course he was Daryl’s right-hand man and he co-produced a lot of their music. He was just a beautiful person to be around. Along with being a multi-instrumentalist, you are also a photographer, documenting a lot of your travels and even doing album covers and promo work for the band. What’s your favorite thing to shoot? There’s not one thing that I like to shoot. I’m a very visual person so I typically will take my camera out when I’m on tour. When I’m not on tour I don’t find the need to shoot as much. I like documenting different places and I like to capture the moments that I’m experiencing so it became a tradition for me at the end of the show to take a picture of the audience. It’s funny because that started way, way, way back with the Average White Band in the early ‘90s, late ‘80s. I had sort of forgotten about it, then decades later Facebook happened and I saw a shot of an audience and I remembered I used to do that. I thought ‘let me do that again.’ And now I can share it instantly with thousands of people. I asked Daryl if he was cool with that and he said yeah. In fact, Daryl in the beginning when I joined the band, had seen some of my black & white pictures and he said ‘El, can you shoot us?’ I said yeah, I’d be honored. So for the first couple of years I shot them quite a bit. I ended up shooting their Our Kind of Soul record cover. I shot the back of Daryl’s solo CD, I shot one of John’s releases and a lot of the press shots. I don’t do that so much anymore, but I love to shoot. It’s in my DNA. So there’s not one thing I like to shoot, I’ll shoot people, instruments, anything. What’s coming up for Eliot Lewis as far as promoting Adventure, and what’s upcoming for Hall & Oates? I’ve been doing interviews almost every week now. A lot of promotion right now. Not so many gigs, just a handful aside from the one at Daryl’s. I’ll be hitting it pretty hard probably by February or March as far as my solo shows to start promoting this record. I know the label SRG will be servicing the record to radio. Try to get some radio adds. They have some specific songs they’re hoping to get some singles with. We’ll be in full promotion mode right after the first of the year. I think Hall & Oates will be fairly busy and I’ll be booking right alongside them, so it should be a jam-packed year. Eliot Lewis starts creating a new year of musical experiences with the CD release party at Daryl’s House Club on January 1, 2017. 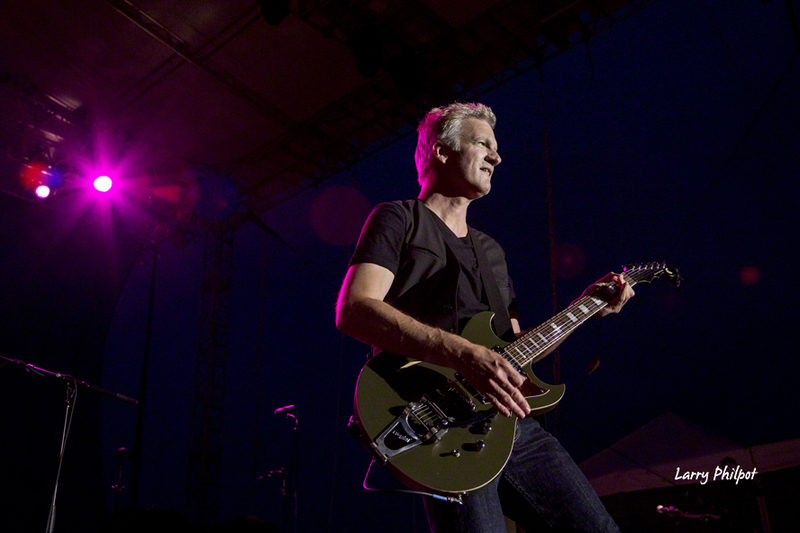 Check Eliot’s website, the Hall & Oates website and Onstage for the latest news and updates.